Thanks to Twitter, I noticed that Kitchenette was serving burgers today. 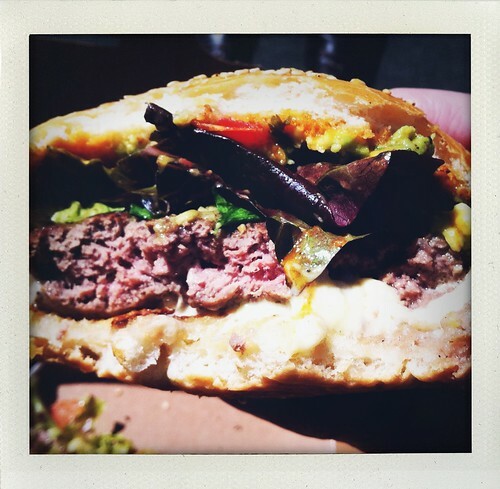 All hail Burger Week in San Francisco! The bf picked me up at work and we drove to the Dogpatch. First, let me say that parking was a nightmare. Is the 'patch blowing up? Does everyone park their extra cars here on the cheap? But, we finally found a space and made our way to Kitchenette. Two Guacamole burgers, please. Then we waited, and waited, and waited. But this burger was worth it. I added some sriracha and dove in. Salty, juicy, spicy with sauce and jalapeños. Yum. 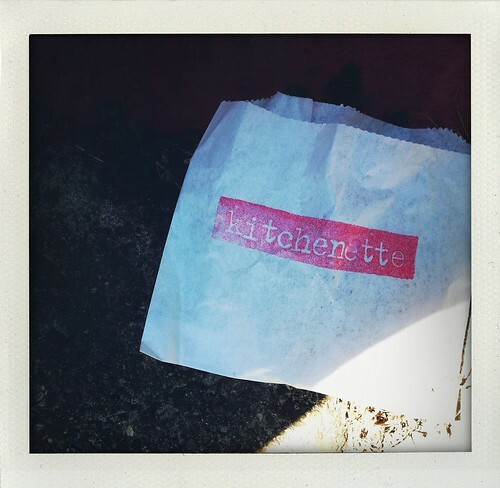 If you have the chance, get over to Kitchenette and grab a burger.